We offer personal training sessions, either 1-2-1 or in small groups of up to 4, pre and post natal training, nutritional consultations, short and long-term goal setting and event-specific training. Any challenge you’re facing, throw it at us and we can solve it together. All classes will have no more than 4 people in them so everyone receives attention specific to their needs. Classes take place in a private, baby and child-friendly studio. Cancellation within 24 hours of a booked session will incur 50% session fee. Cancellation within 12 hours of a booked session will incur 100% session fee. Payment to be made in cash, bank transfer or Paypal before or at 1st session. It is the client’s responsibility to inform the trainer of any changes in health or situation. Once a block of 10 sessions has been purchased there is no refund available. Block sessions must be used within 10 months of purchase. Prior to starting to train with Sophie in May 2015, I’ve just completed my 2nd London Marathon. On the one hand my fitness wasn’t bad with a time of about 3hrs 45 mins, my core strength and overall fitness was pretty poor. I’d managed to avoid any core exercise other than running, which is when Sophie stepped in. I only see her 1-2 times a week and nearly 18 months later feel the fittest I’ve ever felt. She’s great at mixing up what we do each week in Finsbury Park, keeping it interesting, always positive and encouraging, plus really good at pushing me through our hour-long sessions. My overall energy, stamina and posture have improved loads, as has my knowledge of different exercises and programmes I can follow in my own time. I’d really recommend seeing her, even if for a few initial sessions and be surprised how quickly you can start to see small but steady improvements. I’ve always exercised in the past and have always given up as soon as I got bored or didn’t see results as soon as I’d hoped. A few months pass and then I’ll decide to do something else again, it always starts well, but predictably a few weeks or a couple of months later, I lose interest and give up all over again. I’ve been working with Sophie for 8 months now and I’m over the moon with how its going. Firstly I’m still doing it. Sophie turns up at my front door rain or shine and I can’t avoid training. There have definitely been weeks where I just wanted to stay in bed, but Sophie is there at my house, there is no place for finding excuses and after the session I always feel so happy that I worked out. Secondly, no session is ever the same. Hallelujah, finally someone who thinks about the session and creates a new plan – every single week. I never know what each session will bring and that keeps me on my toes. I don’t get bored or complacent and the sessions are really fun. And lastly my body is stronger and healthier than it has been in years – Sophie knows my strengths and weaknesses and works specifically to build up the parts of my body that really need help. I’d recommend fitology to anyone and everyone – which is what I’m doing. I initially signed up with Sophie to help me lose weight and get fit ahead of my wedding this October, and can honestly say it is the second best decision I have made this year 😉 Not only have the results been fantastic but, more importantly to me, it has transformed the way I feel about fitness and my body. The sessions have kept me motivated and focussed, and I have loved getting stronger. Each session is different and I genuinely look forward to them (well, mostly!) – plus I always feel amazing afterwards. I wouldn’t hesitate to recommend Sophie to anyone; her approach is tailored to individual needs, lifestyles and fitness levels and the sessions are a pleasure. Sophie is a fantastic trainer! Sophie has been a big part of getting me back on my wakeboard and snowboard after a knee injury (acl tear, tibia fracture). She goes out of her way to find the exercises that work specifically for my sports and muscle imbalances to support my recovery. With her help I’m back on the board, feeling stronger than ever! I decided to try working with a personal trainer about a year ago – I didn’t have huge expectations but was curious about what I could achieve (and whether I’d really get out of bed at 6.30am on cold winter mornings…) I’ve been really pleasantly surprised by what just an hour a week with Sophie has brought to my life: I feel livelier, more physically resilient and have even got *actual* muscle definition! More importantly I feel psychologically happier and healthier, and have found that the discipline I’ve learned from PT has led me to push myself more in other activities, like running or hiking. 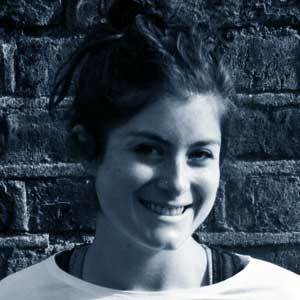 Sophie is great – she’s likeable and totally unpretentious, but no-nonsense about fitness, just what you want in a PT. I’m officially hooked! Sophie Kay has always had an interest in being active from climbing trees as a kid to competitive sports and horse-riding through school and university, even representing the University of Nottingham in women’s football. However, when she graduated and settled into an office job the client-entertaining and sedentary lifestyle took its toll and she piled on the weight. In 2012 Sophie took on the London Triathlon as a personal challenge and it kickstarted her into getting fit again, losing nearly 2 stone in the process. She has since continued to challenge herself physically and mentally, qualifying as a Level 3 Personal Trainer at the beginning of 2015. Sophie had a baby in October 2018 and is going through the post-natal fitness journey herself.